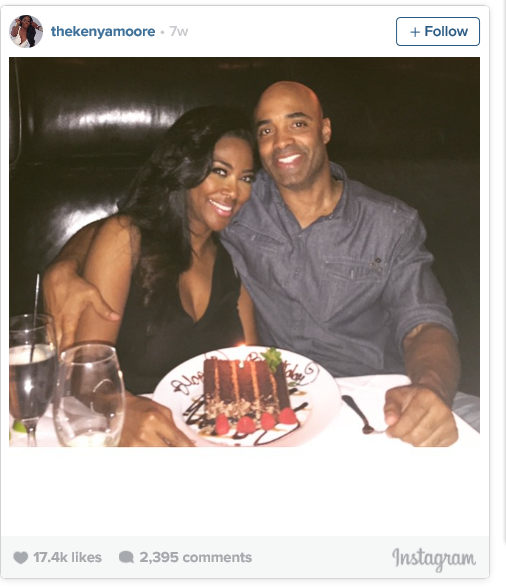 RHOA’s Kenya Moore’s New (Ex) Boo Was Married! 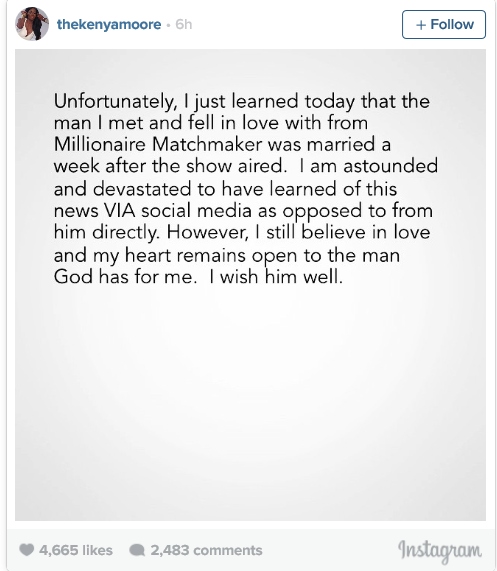 The Real Housewives of Atlanta resident recently found out that the man that she was set up with on Bravo’s Millionaire Matchmaker this past March was married! The pair hit it off so well that they continued to date well after their episode aired. 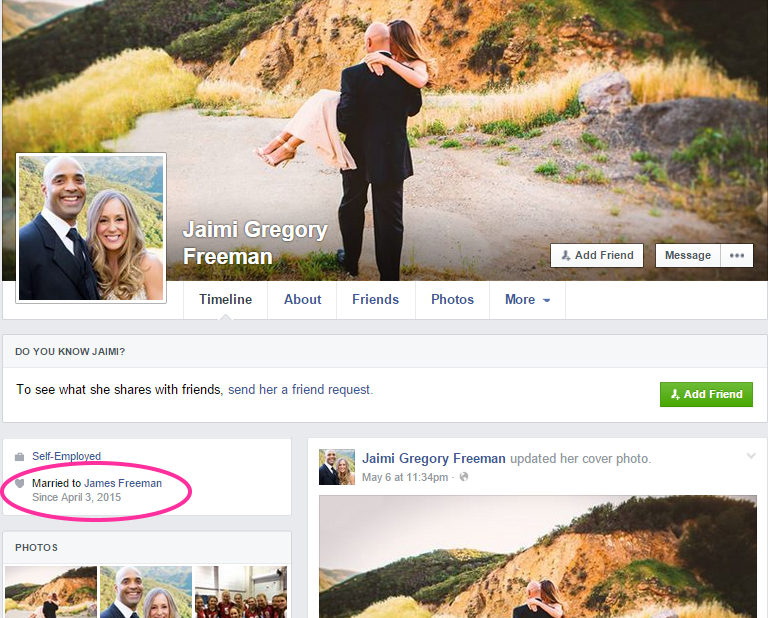 It seems that James Freeman already had his betrothed lined up and he married her a week after the show hit airwaves. If Catfish has taught us nothing else, it’s helped us all bone up on our snooping skills. It took no time to find James and his wife, Jaimi’s Facebook pages with their wedding date and photos proudly displayed. That’s gotta hurt, but the shade from Vivica A. Fox is pretty dang cold.